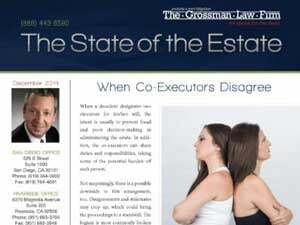 Do You Suspect Fraud by the Executor of a California Estate? The decedent’s will, under California probate law, not only decides how the estate is to be distributed, but often states who will be in charge of managing the process. Nominating a child, spouse, or other family member as the estate’s executor is perfectly normal. What could happen, though, is that many years after the will has been written, the named executor has stopped getting along with the rest of the family, or does not live up to their expectations of integrity, competence, or diligence. As a “fiduciary” of the estate and beneficiaries, the executor has a duty of trust and responsibility. This means that, if you suspect the executor is engaging in fraudulent activities or mismanagement, you have options. First, after you have collected evidence of the executor’s misconduct, you can file a petition with the probate court. This will compel the executor to abide by the dispositions of the will. Then, the executor will be ordered to correct the situation within a specific deadline, if the court agrees with your allegation. However, failure to do so will prompt the court to consider his or her removal as executor of the estate. At this point, the court may appoint a new executor or agree to one proposed by the heirs and beneficiaries. You may also file a petition for an accounting. The executor will be required to provide a detailed accounting report of all the amounts and assets that have come in and out of the estate if the petition is accepted by the court. If there is evidence of theft criminal charges may be filed in a civil court. 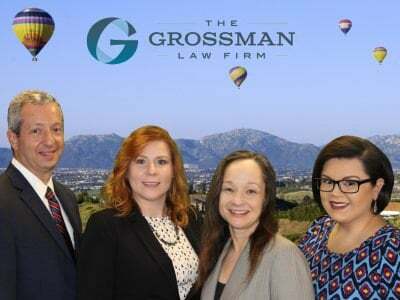 Talk to San Diego estate planning and probate attorney Scott Grossman about your situation and any questions you might have. Call our lawyers at (951) 683-3704 or (888) 443-6590 for your FREE 30-minute telephone consultation. 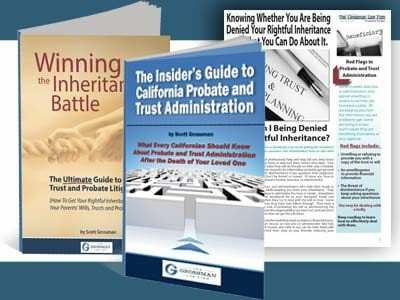 Order our FREE book The Insider’s Guide to California Probate and Trust Administration.